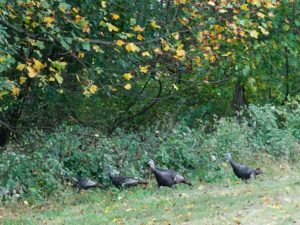 In the early 1900s, Wild Turkeys had disappeared from Delaware. They suffered from habitat loss via deforestation and eventually the turkey population was hunted to extinction. In 1984, wildlife biologists began re-introducing turkeys from nearby states – Pennsylvania, New Jersey, and New York. Ultimately, 167 turkeys were trapped and relocated to Delaware. 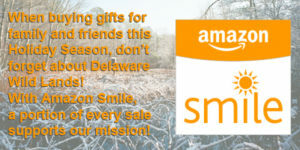 These efforts were hugely successful and after only 7 years, Delaware was able to offer a limited hunting season. 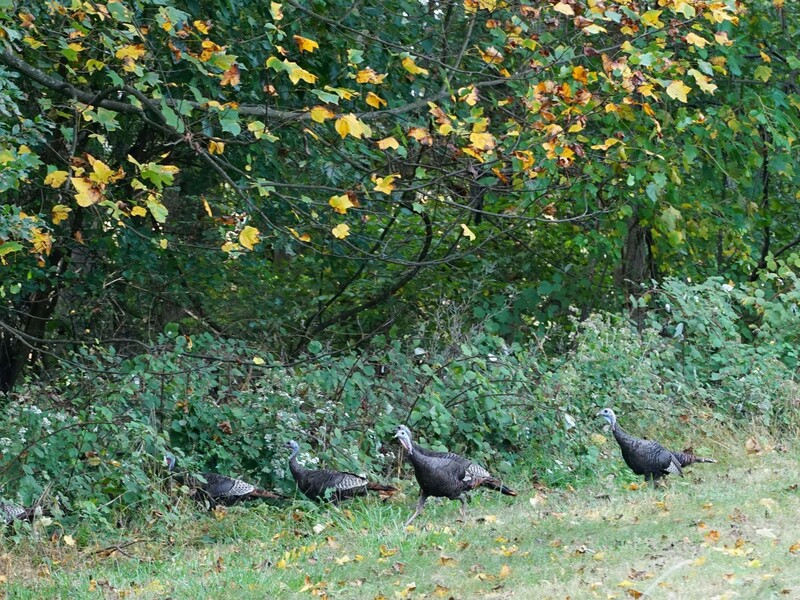 Delawareans can harvest one turkey a year during April and May, when male turkeys are courting females. Wild Turkeys prefer open forest habitat, but venture into grasslands near the forest edge. They forage for food on the ground, munching on nuts, seeds, and berries scattered on the forest floor. They use their strong feet to scratch leaf litter out of the way. In early spring, males gather in clearings to perform courtship displays. They puff up their body feathers, flare their tails into a vertical fan, and strut slowly while gobbling. At night, turkeys fly up into trees to roost in groups. In Delaware, turkeys are hunted by coyotes, raccoons, great horned owls, and people. Nest predators include raccoons, opossums, striped skunks, foxes, woodchucks, and rat snakes.